they still need to bring the price point down though. I can buy a halfway decent extremely functional laptop for what these tablets are going for right now. Again, because none of them are meeting MY baseline... a baseline that I can't imagine anyone wanting to dip below... but owell. Totally agree and understand your first point....but how could you possibly think that you could understand what others are "wanting to dip below"? Right now, my three kids are sitting on the couch working through math problems and just finished an app that has them learning states/capitals. Earlier, I was watching the tourney on the MMOD app. Last night I played a pretty damn cool game, Dead Space. My wife really enjoys Facebook/email on the device. 2 night ago, I watched a movie on the Netflix app. Not having flash has been a nuisance exactly once for me since I got the device. These are all things that are apparently below your line, but I find them somewhere between invaluable and quite cool. Worth my $500? Well, yeah, it is. I really appreciate your insight on the coming tech landscape, but the line of thinking that only idiots would actually buy an iPad because of its inferiority is getting old. I have never said that only idiots would buy an iPad... I do believe only idiots would buy it and FULLY BELIEVE the Apple hype. The fact that your entire family is enjoying the device makes it worth the $500 for you. I would never begrudge you that fact. There are other specialized uses for an iPad that make sense as well. OK, to the extent you're limiting your "better tablet" opinion to what works for you, I have no problem with it. But I think there's plenty of room for iPad users to claim that their tablet is currently better than other current alternatives including Xoom. It all just depends on what's important to the individual user. The ONLY claims an iPad user can make about being better are aesthetics, battery life(although just barely better than Xoom) and number of apps. I guess you could claim to like iOS better than Android... but I have yet to meet anyone who has ACTUALLY used both on a tablet and not thought Honeycomb was superior. 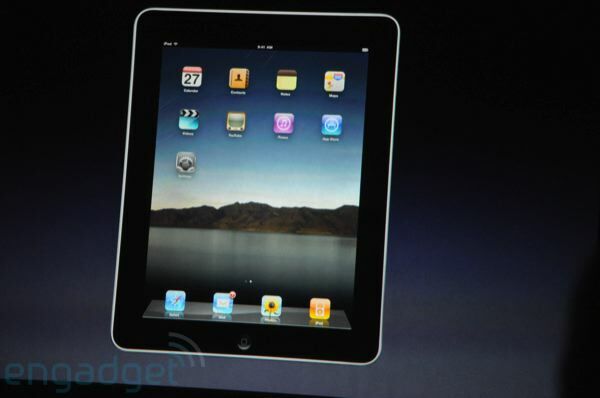 The apps will catch up, so will battery life.. in the end it will be aesthetics and marketing that keep the iPad afloat. The other factors are not matters of opinion.. they are quantifiable entities. The one thing that would make me get an iPad today was if it had a USB port. A real one. I would love to have the iPad to take with me on trips or when I head down to the Smithstonian or maybe to a coffee house to do my writing and then transfer it to my computer when I got home. As it stands now, the only way to do that would be to e-mail the files to myself and then upload them. Can it be done? Absolutely, but it's inconvenient as hell. Nothing fancy. Just give me a USB port. Huh? Dropbox would be perfect for that, and your file would be waiting on you when you got home. Looking for a little help here from the iPad experts. Like most, I have a wireless network at home, and my iPad is hooked up on it. Now, if for whatever reason I have to power cycle my Linksys router, the iPad cannot get back on the wireless network again. Everything is works fine, both wired and wireless, except the iPad. I have told it to forget the network, tried to connect with it using the SSID, I have tried putting in other networks, and then typing my SSID and selecting the proper security (WPA). And still nothing. Does the ipad see the router at all or does it see it and refuse to connect it? Any difficulty with any other wireless device in the house? You say that like Apple wouldn't improve their own device by the time other developers have a product that works as well as the iPad does at the current moment. I'll agree with you that some of the things, like screen resolution, not including Retina display, and the piss-poor excuses for cameras on the iPad 2 shouldn't be issues; Apple should have dealt with them better. But seriously, 256MB of ram? That used to power fairly advanced computers back in the day... How much memory can a tablet application possibly use? At a certain point it's overkill, isn't it? At least, right now? Memory only isn't an issue with the iPad because they strip down the functionality. It's the same with battery life. And no, Apple will NOT be able to keep up with the pace of development. Not on the OS front and not on the hardware front. Their monolithic model is fundamentally flawed in this regard. Hell, the Xoom proved this point... with a full year head start.. the iPad2 is only better in regards to battery and number of apps (and aesthetics, but let's leave that purely subjective aspect off the table) Apps is a non-issue since we all know that you hit a certain critical mass where it doesn't matter if you have 5 or 5000 apps that fulfill a certain need. Maybe Apple will prove me wrong with a major leap forward with the iPad3... but I find it unlikely. This is my argument as well. They might be ahead now, but they won't be able to keep up with the competition, even if it doesn't truly exist yet. Huh? I posted a benchmark earlier in this thread that showed the hardware on the iPad 2 blowing away the Xoom in some tests, and only lagging behind in one. I'd say that it's better than in more than those aspects you mentioned. I didn't bother replying to that benchmark because it's fundamentally flawed. Even Anandtech admitted that. It's a very old benchmark that doesn't accurately represent anything. I will admit that the A5 does MATCH the Tegra2 in a lot of categories... but you'd have to either be an idiot or dishonest to actually think the hardware of the iPad2 is better then the Xoom. Even if processor power is a wash... the Xoom kills it in EVERY OTHER aspect... memory, storage, screen, cameras.. Jesus, what was Apple thinking by putting two CRAP cameras on the thing when it would have been easy to actually put decent ones on. No, the fact is .. Motorola rushed the Xoom out the door before it was ready. That said, I have read far far far more user experiences that are without issue... combine that with the few hours I have spent on a Xoom and didn't see a single issue... and I tend to think the problems are overblown. Have you spent any time on a Xoom yet? Maybe I was just lucky, but I also can point to a ton of reviews that had the same problem free user experience I have had. We bought two Zooms through Verizon last week. So far the Teams love them. The other Team chose the iPad II. I think the Zoom is better. We'll see. Thank God for over-priced Sunday Ticket; salvation for a Chief fan in Utah...plus now Wisconsin.